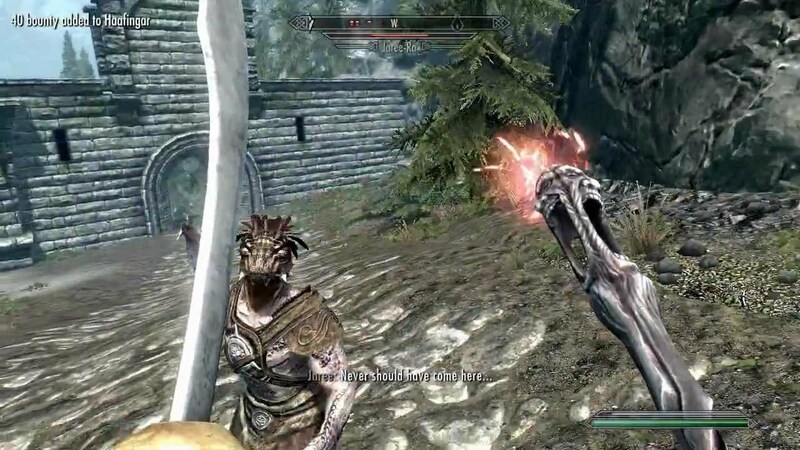 Skyrim is out now on Switch and VR, and that means two whole new platforms on which to abuse the save function. This page is part of our Skyrim guide hub, republished to celebrate Skyrim hitting Switch and VR this week. This one’s all about saving and loading, and the sneaky things you can do with them. Skyrim probably doesn’t intend you to make use of these, but their long-cherished traditions of the RPG’s enormous playerbase, so we hope they haven’t been axed for Skyrim Switch and VR. Alright, here come the tips. Hit up our if you have other queries. First off, save manually and often. If you come across a spooky cave, are heading towards a difficult battle, or about to try to pickpocket something important, save beforehand. There’s no shame in reloading if you fail and you’ll appreciate all of those save files if something goes horribly wrong or bugs out. You can also utilise saves to pull off a few neat tricks, but before we get to that, do not save over your initial “prisoner” file. Create a new save file as soon as you gain control and can access the menu, and you’ll never have to replay the cart scene in the opening again, but instead start immediately before character customisation. The next tip only works on non-essential followers. You’ll need to have obtained the Wabbajack from The Mind of Madness quest. Save your game. Head to a secluded location to avoid kicking up a fuss – there’s some violence involved and you don’t want a bounty or a free-for-all on your hands. Remove all of your follower’s equipment, then dismiss them. Use the Wabbajack on them until they change shape. If they try to engage you in combat, for the love of god, do not retaliate. Once the effect of the Wabbajack wears off, they should be equipped with their default weapon and gear and match your level. If not, or if you accidentally killed them with the Wabbajack, reload and try again. Sometimes you just want to buy – or sell – a bunch of stuff at once, and waiting for merchant inventories to reset is a hassle. Don’t worry: there’s a workaround. Try this: finish your business with the merchant, then save your game. Once the save is complete, punch the merchant – and then reload without saving again. For some reason their cash and inventory should now be reset. The last tip will prevent a potential bug with the Lover’s Comfort bonus that is applied once you’re married with a live-in spouse. Save before your wedding ceremony then talk to your spouse before they leave. Tell them to wait at their house and meet them there. You can now move them into any one of your homes and get the Lover’s Comfort bonus whenever you sleep there. The bug can pop up if you tell them to go to one of your houses straight away rather their own. If you do this, it’s possible that you’ll only get the Well Rested perk when you sleep there, rather than Lover’s Comfort, rendering the entire marriage pointless. I mean, yes you have a life partner now, but they need to pull their weight goddammit. If they run off to your house after the ceremony before you get a chance to talk to them, reload and speak to them sharpish before they scarper. Got any other neat save and load tricks for Skyrim players? Let us know below.